Help Eliza dress up and prepare for the opening of her brand-new flower shop! Bring in your fashion adviser skills and help her look as lovely as her flowers. Rummage trough her wardrobe and start mixing and matching those lovely tops or trendy t-shirts with the loveliest miniskirts. Dress her up picking up the cutest clothes, pull off some really stylish accessories, give her a make over, choose a hair style and color, then click around the shop to change objects, colors, and much more! Have fun playing free online flash online dress-up game Flower Shop! 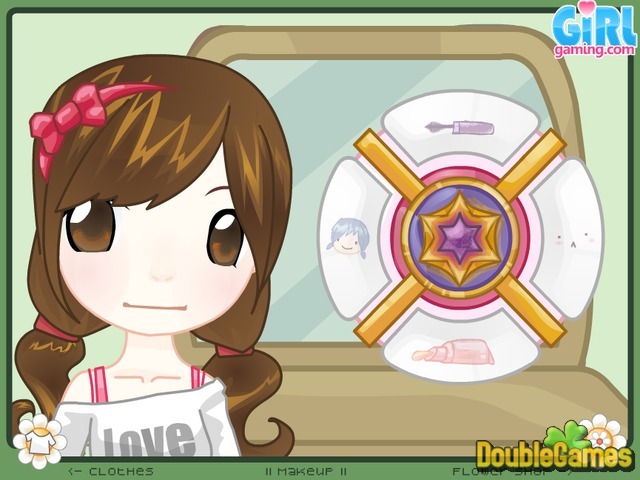 Title - Flower Shop Online Game Description - Immerse yourself in Flower Shop, a Time Management game offered by GirlGaming. Help Eliza dress up and prepare for the opening of her brand-new flower shop!